Founded in 1957, SIUE is a fully accredited public institution awarding undergraduate and graduate degrees in the arts and sciences, nursing, education, business, and engineering. The Schools of Dental Medicine and Pharmacy award professional degrees in dental medicine (DMD) and in pharmacy (PharmD). Doctoral programs are available in the Schools of Education (EdD) and Nursing (DNP). The School of Engineering and the College of Arts and Sciences’ Department of Historical Studies feature cooperative doctoral programs (PhDs). SIUE is a member of the Ohio Valley Conference. 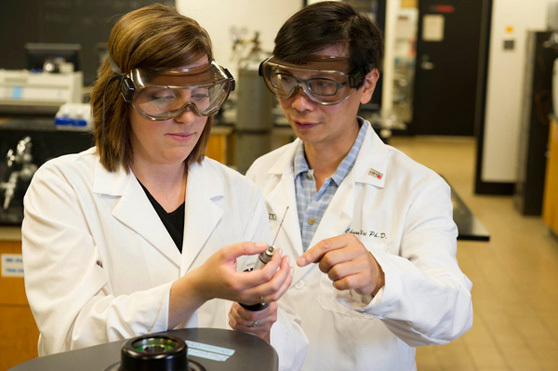 SIUE faculty and staff consistently receive grants and contracts for research, teaching and service initiatives from funding organizations such as National Institutes of Health, National Science Foundation, Department of Health and Human Services and United States Environmental Protection Agency. The SIUE campus is only 25 minutes from downtown St. Louis, which is home to nationally known Fortune 500 companies, professional sports, cultural offerings and transportation that puts you within minutes of just about anywhere in the Metro Area. SIUE is situated on 2,660 acres of beautiful woodland atop the bluffs overlooking the natural beauty of the Mississippi River’s rich bottom land. SIUE is a dynamic, vibrant academic community dedicated to enhancing the quality of life for the region. Of the University’s 100,000 alumni, more than half live and work within a 50-mile radius of campus. With a total economic impact of more than $500 million, SIUE significantly affects the broader regional economy and is a catalyst promoting progress within the metropolitan region.